Professor Scrubbington's have a different take on bath time and it's one I love. 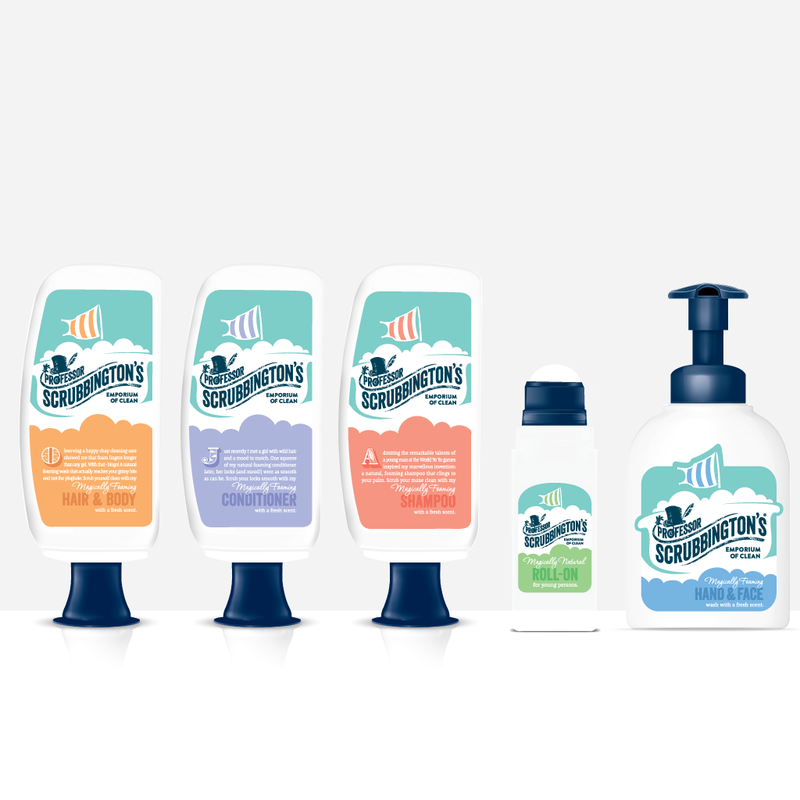 They focus on creating products to allow little ones to wash themselves with ease, as well as smelling super squeaky clean. After using Johnsons since Noah was a newborn, I wanted something a little more 'grown up' for him, and quite frankly, something a little more exciting. 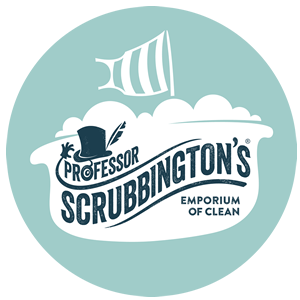 Although I absolutely love the 'baby clean' smell their products give, I found it hard finding another brand that did the same, that was until I stumbled upon - Professor Scrubbington's. They offer a whole range of bath time products, such as Shampoo, Conditioner, Bath & Body wash and a hand wash, as well as deodrant which was so adorable trying to roll onto Noah without him crumpling into a tickled, laughing heap on the floor. Professor Scrubbington makes their bottles super easy squeezy, meaning in a few more months I'm pretty certain Noah will be able to squeeze these onto his own hands. The bath and body wash is extremely foaming, which I love because it means a little goes a long way, and as it's a foam it doesn't drip out of your hands as you pour it from the bottle. It's safe to say Noah LOVED bathtime with Professor Scrubbington, we used some of the wash, in his bath with bubbled up amazing. He even told us 'No, not come out' after we'd tried to get him out twice! My favourite thing about this range has to be the smell, no sickly sweet scents on my babies skin, just pure cleanliness. What more could I ask for?